"Our culture made a virtue of living only as extroverts. We discouraged the inner journey, the quest for a center. So we lost our center and have to find it again." 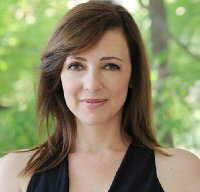 Wherever you land on the personality spectrum, Susan Cain’s Quiet is a superbly researched collection of data and observations related to the two ends, introversion and extroversion, and aims to provide empathy building tools for the seemingly less desirable classification, introversion. From the roots of the Culture of Personality to the practical exploration of the Free Trait Theory, Cain cracks the temperament discussion wide open and equips readers with a firm understanding of how to thrive as an introvert or embrace and collaborate effectively with the introvert in your life. "But when they embraced the Culture of Personality, Americans started to focus on how others perceived them. They became captivated by people who were bold and entertaining." Our western culture has not always been built on the Extrovert Ideal, but it first peeked its head in the early 1900s and furthermore into the Industrial Age when our outward selves, and the impression we had on others, became front and centre. This spotlight became obvious because during this time people were shifting from working amongst family and neighbors to seeking employment and business arrangements with people whom they had no ties with—likability and sociability became what we based success on. Since, our culture has placed an undeniable importance on how we interact with others, and in what social situations we thrive. "To ask whether it’s nature or nurture… it’s like asking whether a blizzard is caused by temperature or humidity. It’s the intricate interaction between the two that makes us who we are." As introverts, we come by it honestly—our temperament is an intricate mix of nature and nurture, a dynamic blend of temperament and environment. The work of Jerome Kagan, a developmental psychologist, is highlighted by Cain throughout a significant portion of the book—specifically the classification of high and low reactivity on people as indicated through studies of infants through adolescence. In his studies, infants at four months old were subjected to various stimuli and new experiences and assessed for their physical reactions. Those that cried or flailed about were deemed high reactive (20%), those who remained placid were deemed low reactive (40%), and then roughly 40% were somewhere along that spectrum of reactivity. As Kagan predicted, those who were high reactive were quiet teens, super sensitive to their social environment and leaned towards solitude, and likewise those that were low reactive thrived in social, front line situations later in life. Understanding where you land on the reactivity spectrum as an adult can help you determine where you sweet spot is, which is defined as, “your place where you are optimally stimulated… You can set up your work, your hobbies, and your social life so that you spend as much time inside your sweet spot as possible.” Just as we play to our strengths when it comes to hard skills, Cain makes a great case for readers to set ourselves up for success by playing to our reactivity level and aim to thrive within our own temperament. "Introverts are capable of acting like extroverts for the sake of work they consider important, people they love or anything they value highly." Think back to what you loved doing as a child. Reverting back to the time when outer expectations impacted your experience less, when you were free to explore and enjoy in the most authentic way. Pay attention to the work you gravitate to. What pulls you in out of sheer interest and not out of obligation? What task or environment leaves you more energized and revved up than before you opted to partake? Pay attention to what you envy. While jealousy can be rooted in negativity, it often shows us what we desire most for ourselves and may speak volumes about what is lacking. Investing your energy wisely and consciously can be your biggest leg up when it comes to harnessing the power of Free Trait Theory.